The aim of this app is to receive important push-messages on your smartphone or tablet from Repetier-Host from version 1 (Repetier-Server will come soon). Repetier-Host sents all messages to defined groups. All members of a group receive the same message, so that you can receive your the messages on your smartphone and on your tablet. Your App can be a member of multiple groups. 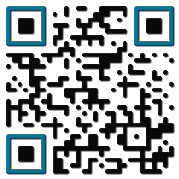 Scan QR code to download Repetier-Informer.